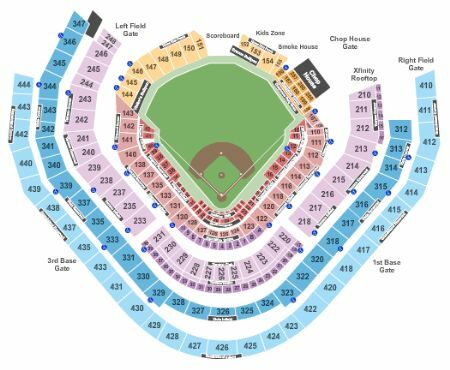 Atlanta Braves vs. Colorado Rockies Tickets - 4/28/2019 - SunTrust Park in Atlanta at Stub.com! Aisle Seats. Home teams side. Mobile Entry: Scan your tickets from your mobile phone for this event. Do not print these tickets. Second row in this section. Fifth row in this section. Home teams side. Mobile Entry: Scan your tickets from your mobile phone for this event. Do not print these tickets. On the baseline. $10 food and beverage credit included with each ticket. Aisle Seats. Includes access to Dugout Club. Mobile Entry: Scan your tickets from your mobile phone for this event. Do not print these tickets. These seats are directly behind the home team dugout within the first ten rows. Third row in this section.